Ok, technically the site opened on the 5th December 2010 but we didn't get going properly until the 6th. It's not at all that I forgot to mention this yesterday. That's my story, and I'm sticking to it! Many thanks to all you wonderful people who made this forum possible, added your thoughts, posts and heaps and heaps of clooney-information, without which, this site would be bloody boring! So come one, come all, let's celebrate! Re: Celebrating our SECOND anniversary!! The site has been running for 732 Clooney-filled days. We have an average of 145 posts every day and add 4 new threads every day. The most active thread starter is me (ahem) and I’ve started 59% of all the threads on this forum. Next up is Laetval who’s started 7% of all threads and then comes Joanna who’s started 6% of all the threads. Bubbling under are sillygirl, Merlin, lelacorb, watching, Melbert and It’s Me. I can see there’s room for quite a bit of catching up, ladies! They’re closely followed behind by Lakin, lucy and pattygirl. And in total we have 680 members. Congratulations! Happy Anniversary! Whoo Hoo! Happy anniversary Katie and all the COH'ers!!!! Love this site to bits as "we're" so on the ball ahead of even the press! Well done Katie, keep up the good work and to all the detective girlies out there, a big pat on the back for you! Hugs all round!!!! Love reading the comments and opinions and differing views. Appreciate those who work so hard to keep the information current. A great job all round guys. Love this forum. Happy Second Anniversary to Us ! YAY us! Thank you Katie for gathering us all together in this wonderful Open House. George love brought us here, but the friendships formed with our members keep us here (since George does so many disappearing acts!!!!). Thank you to all who contribute, whether it's finding George news and pictures, etc., or adding your valued opinions. Happy Anniversary Katie and to all of us!!! May good fortune smile upon you to ensure that this is always a friendly place to visit to catch up with old friends and MOST importantly, to catch up on all things George! Thanks to all and to the future lets hope George shakes things up soon. So glad I found you all. Thank you Katie for not only maintaining this site, but keeping us all in line. And thank you to all you old timers for letting us newbies participate. Happy anniversary from me too. I enjoy this site always finding something new and enjoy reading everyone's comments and opinions. Cool beans! And to all its frequent posting members, old and new. You got me with the red velvet cake !!! Mmmmm. Congrats ! 2 year anniversary and the site revolves around clooney? Hopefully the Clooney curse of being discarded after two years won't affect us. Just nobody mention the M word. Maybe we should all do a cleanse and lose a few pounds. And call our PR people looking to capitalise if it all does go to hell. Happy, Happy to all of us. Thanks Katie for keeping this site going. Now let's get the party started!! I don't know what I'd do on a daily basis without the laughs that you ladies provide, or the many articles and photos of our delightfully charming and oh so delicious Mr Clooney. I've received wonderful advice from many of you and learned a lot re politics, food, fashion etc - I also really appreciate those who astound with their technical knowledge and how to. Many many congratulations to everyone, hope to be around this site for many years to come!!! watching wrote: 2 year anniversary and the site revolves around clooney? Hopefully the Clooney curse of being discarded after two years won't affect us. Seriously, many, many thanks to everyone for joining in and making this a great place to be. It really wouldn't be the same without our regulars. And irregulars. 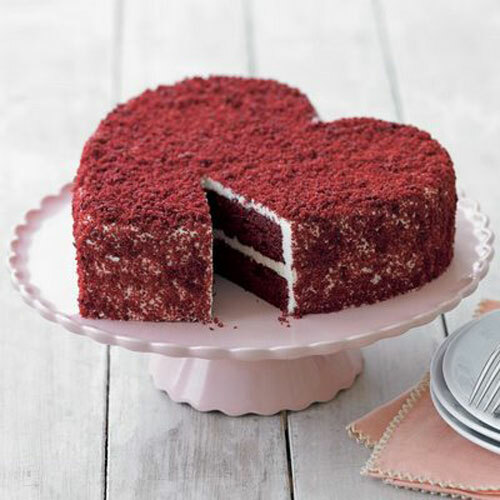 Red velvet cake? Yummy!! Now, where's the tequila? And that red velvet cake looks positively scrumptious! Santé ! Let´s have a toast again!